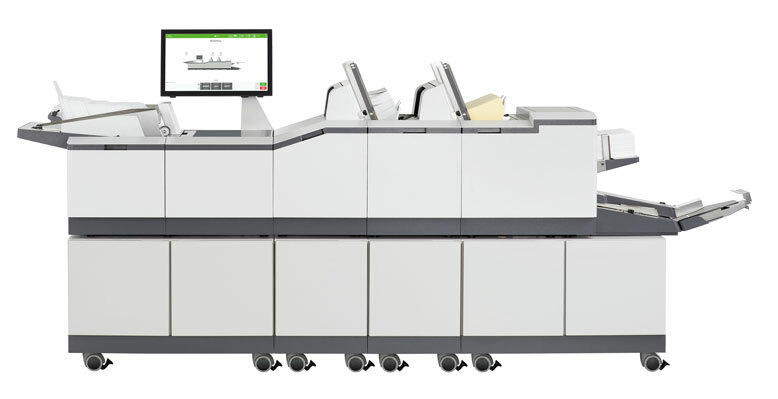 Companies are always looking for more efficient, productive and secure ways of streamlining the processing of their business-critical communications. 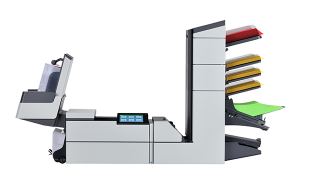 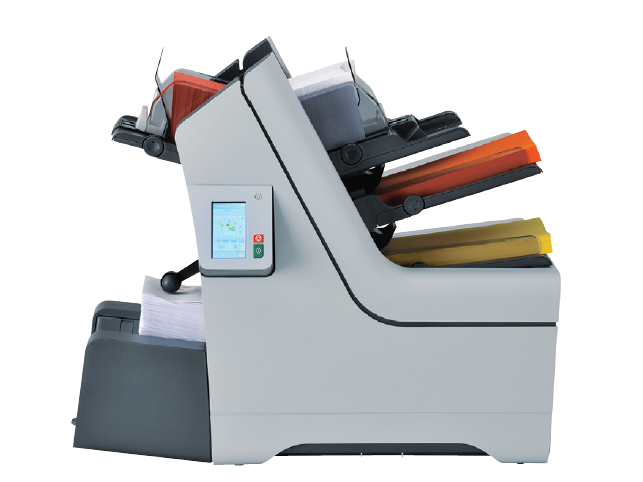 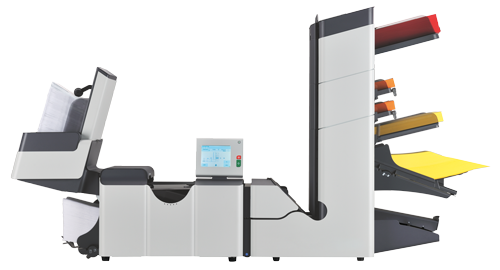 Ideally suited for businesses that are searching for a solution to automate a wide variety of document sizes and types, the DS-64i folder-inserter will meet all company communication needs with ease. 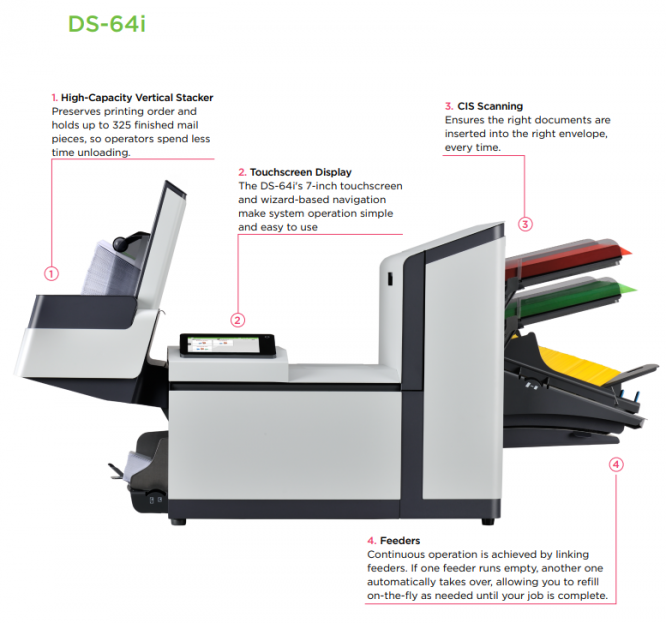 Thanks to its best-in-class scanning technology, the DS-64i can read any type of coding to automate variable page assembly jobs to ensure the right documents are always sent to the right person. 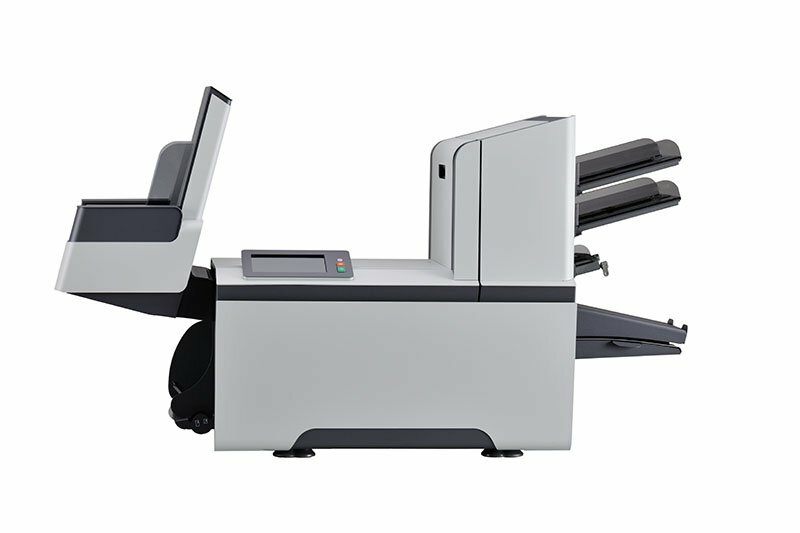 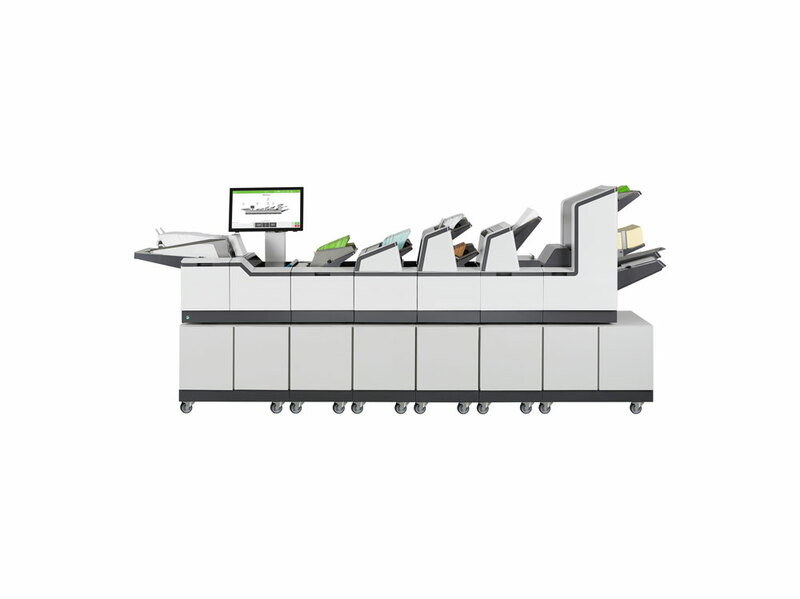 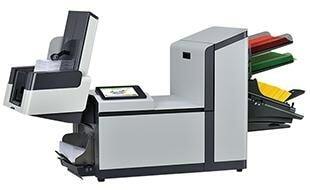 The DS-64i includes our flexFeed© multi-format feeding technology to allow you to process all document sizes including inserts, reply forms and return envelopes from a single tray.